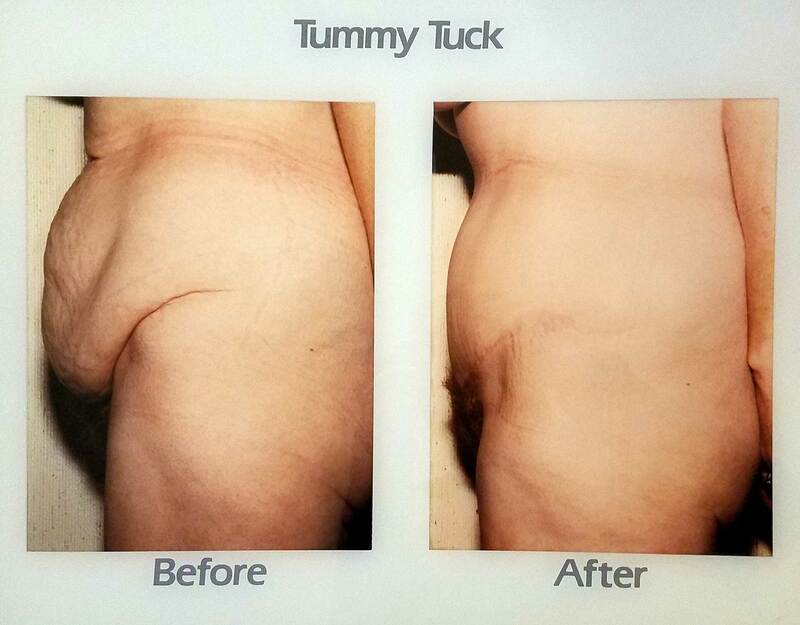 Dr. Mahjouri has provided several cosmetic surgeries, such as tummy tucks, for over 25 years. Tummy tuck surgery can help you meet your ideal image by sculpting a slimmer abdominal profile. Dr. Mahjouri Advanced Cosmetic Surgery & Skincare Clinic provides tummy tuck procedures to patients in Fridley, Anoka, Minneapolis, and the surrounding communities. A sign of youth and health is a flat stomach. Several diet and exercise programs are marketed as paths to flat stomachs, if not six-pack abs. However, several factors can cause the stomach to loosen or sag, making it harder to develop the figure you desire: age, heredity, pregnancy, prior surgery, and significant fluctuations in weight. If proper diet and exercise are not helping tighten loose skin or smooth your abdominal profile, Dr. Mahjouri can you develop the figure you desire through abdominoplasty (a tummy tuck). Over the course of this procedure, our Fridley cosmetic surgeon removes excess skin and fat to slim the stomach, creating a firmer midsection. Weakened and separated muscles can also be restored as well to further enhance the new abdominal profile. This procedure does not serve the same purpose as liposuction, in which larger excess fat deposits are removed from the body; however, Dr. Mahjouri is able to perform both surgeries in conjunction with one another when appropriate, enabling the most dramatic results. Will a Tummy Tuck Best Serve Me? When considering a tummy tuck, it is important to visit our Fridley cosmetic surgeon for a consultation. The results of an abdominoplasty procedure are long-lasting, but they can be greatly improved or diminished in certain circumstances. If you are near your ideal weight and are not planning on additional pregnancies, a tummy tuck may be right for you. Dr. Mahjouri’s experience in abdominoplasties enables him to help you accurately decide whether a tummy tuck is the right procedure for your cosmetic needs and what other options you may have at your disposal. Dr. Mahjouri and his staff will spend a lot of time with patients to address concerns they may have about undergoing an abdominoplasty. When a patient visits our practice for the first time, we will discuss the outpatient surgery center, full procedure, and set up an examination with our Fridley cosmetic surgeon. During your consultation, you can view "before" and "after" tummy tuck photos. We'll also review your medical history and address any questions you may have regarding the procedure and recovery. Once you have a full understanding of the procedure and have realistic expectations, we will be able to help you get the body you want. For the safety of our patients, all surgeries are performed at Westhealth Surgery Center. The following costs include Dr. Mahjouri's surgical fee, anesthesia fee, facility fee, and post-operative care. Depending on the extent of the surgery, Abdominoplasty range from $5500-$9100. Dr. Mahjouri Advanced Cosmetic Surgery & Skincare Clinic provides tummy tucks to Fridley, Minneapolis, and Anoka, as well as the neighboring communities. Call the office of Dr. Mahjouri today to schedule a consultation, to learn more about how we can best help you.